Prima Donna maturo (extra matured) does not only have a distinct ruby-red label, its taste is full bodied as a high quality extra matured cheese should be. 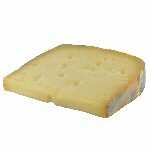 The Dutch makers of Prima Donna know that very well it takes time to age;a cheese to a mature flavor and that's exactly what Prima Donna is allowed to do; to relax/age a little longer than the average cheese to come to her maturity. 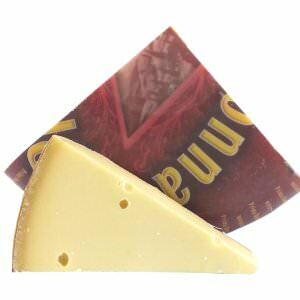 Prima Donna maturo is spicy and full of temperament; a Dutch cheese with an Italian flavor; a cheese that is clearly different from the traditional Dutch Gouda-style cheeses. 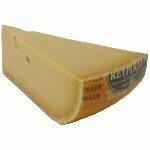 The cheese is excellent on a sandwich, in soups or sauces or as a snack with a glass of red wine. 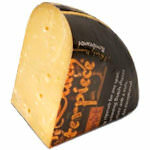 A great alternative among the Dutch matured cheeses. We cut and pack this cheese in wedges of 8 ounces and 1 pound. Ingredients: Cultured pasteurized milk, salt, rennet.